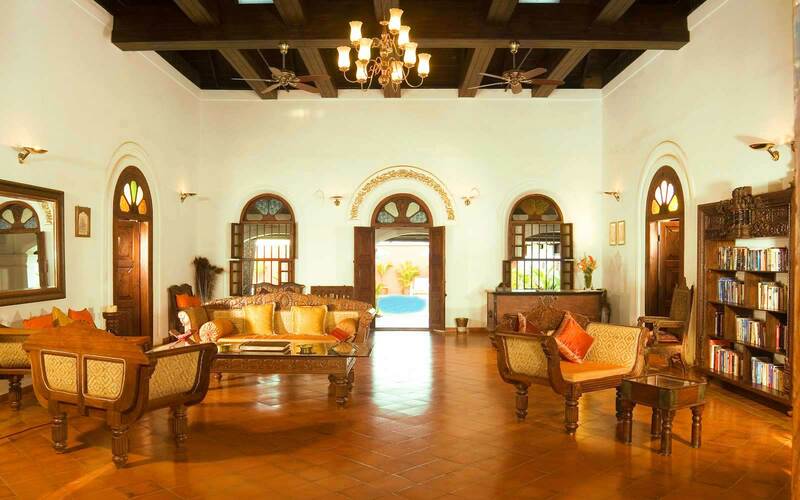 is a heritage hotel at Alleppey Beach, Kerala, in south India. 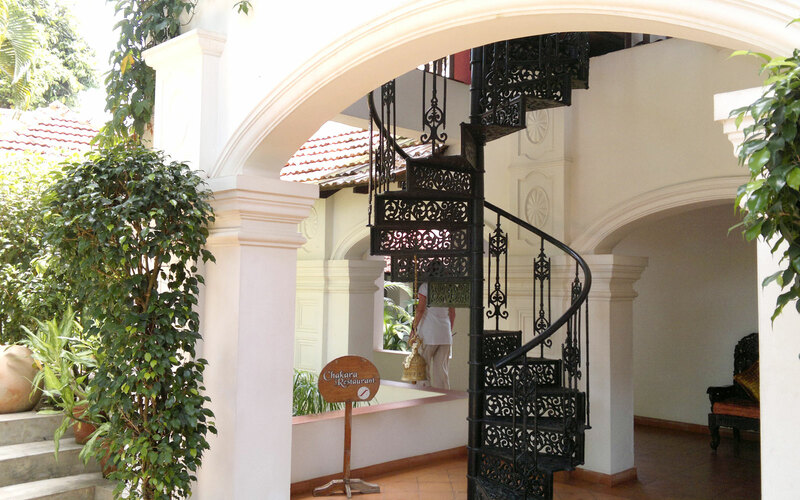 Famous for the award-winning restoration of this 1868 Alleppey landmark, our boutique hotel has also developed an international reputation for its portrayal of South Indian friendliness and warmth, an eye-to-detail in the sophisticated comfortable interiors, delicious food, and a very private pool. This heritage hotel has ten rooms all with different styles but sharing an indisputable heartfelt loyalty to their history. But the modern world impinges here and there, especially with FREE WI-FI! Our rates range from low to high depending on the season. 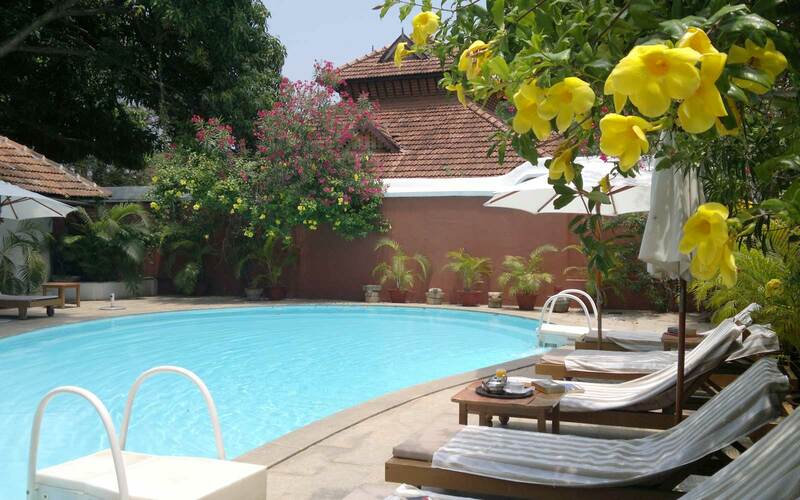 When you make that unforgettable trip down the backwaters of Kerala stop off and stay with us in Raheem Residency. 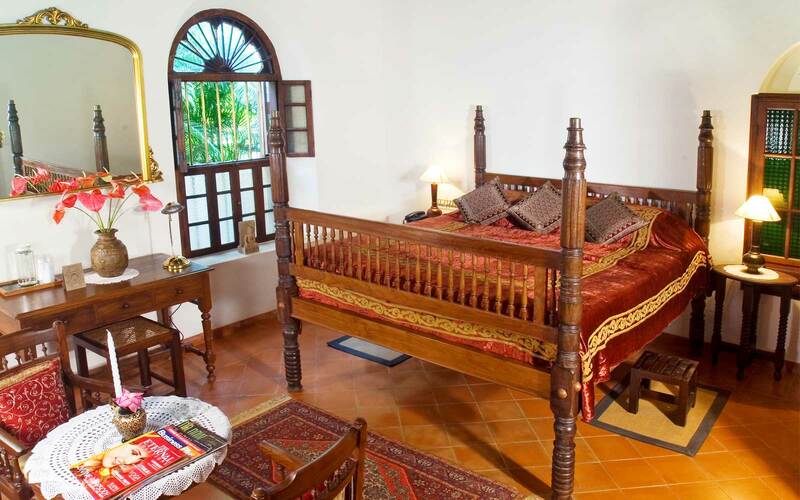 Enjoy the comfort and a little bit of Indian history.